West Valley City, Utah – April is National 9-1-1 Education Month, and the National 9-1-1 Education Coalition (the Coalition) is encouraging public safety officials, schools, government officials, and industry leaders to engage in this national effort to educate the general public about the importance and appropriate use of 9-1-1 services. 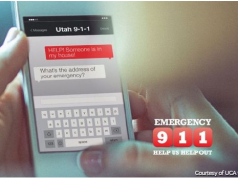 To support this endeavor, the Coalition has launched the 9-1-1: The Number to Know awareness campaign to allow these entities to speak together with one voice while supporting specific 9-1-1 messages being promoted in the local community. Many groups, including the United States Congress and members of the Coalition, also recognize April as National 9-1-1 Education month and encourage the media, the 9-1-1 community, the wireless industry, and public information providers to engage in 9-1-1 awareness and education activities this month. The Coalition has created a variety of resources for 9-1-1 professionals, public educators, and citizens on its 9-1-1: The Number to Know website,www.know911.org. The National 9-1-1 Education Coalition is a volunteer group of public safety, education and industry stakeholders, formed to support the nationwide coordinated promotion of National 9-1-1 Education Month and National Public Safety Telecommunications Week. Members of the Coalition are represented by the following organizations: E9-1-1 Institute, 9-1-1 for Kids®, 911 Industry Alliance, Association of Public Safety Communications Officials (APCO), CTIA—The Wireless Association®, National Academies of Emergency Dispatch (NAED), National Association of State 9-1-1 Administrators (NASNA), and National Emergency Number Association (NENA). For more information about the Coalition, visit www.e911institute.org.